Last week I mentioned that I would preview Master Drawings New York (MDNY) but time got ahead of me so instead of a preview, here is a report. What an evening! 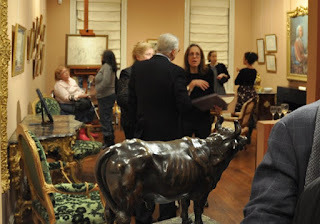 This past Friday was the opening for MDNY at all the participating galleries. MDNY is a different kind of art fair, originating in London. 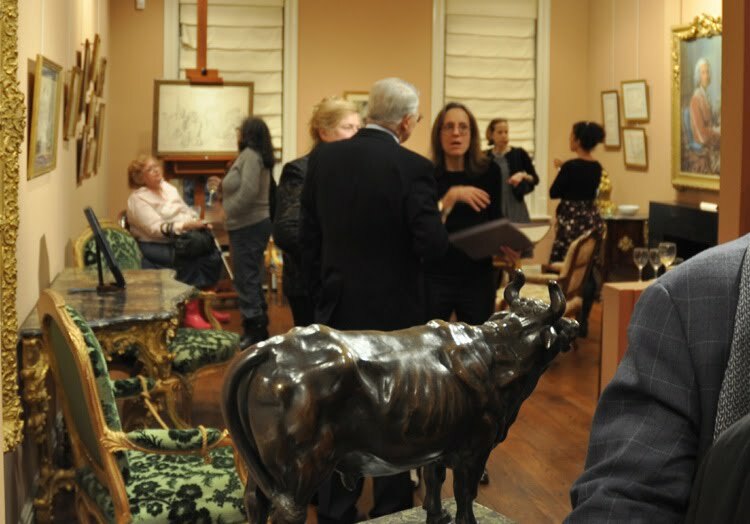 The New York version includes 25 galleries showing works on paper. There are many modern galleries but even more specializing in old masters. 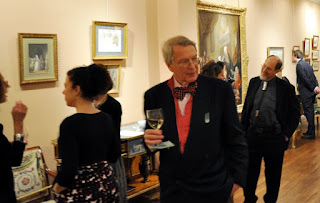 It is also old masters week including, not only exhibitions at all the galleries, but the Winter Antiques Show as well as auction sales later in the week. All these events help to bring more visitors into town. Our challenge was how to distinguish ourselves from all the other gallery openings occurring at the same time. What was that something extra? We decided that together with art food is good for the soul and we went with Sushi at Six at Stiebel. It worked. I have never sent out an invitation that so many people have commented on. 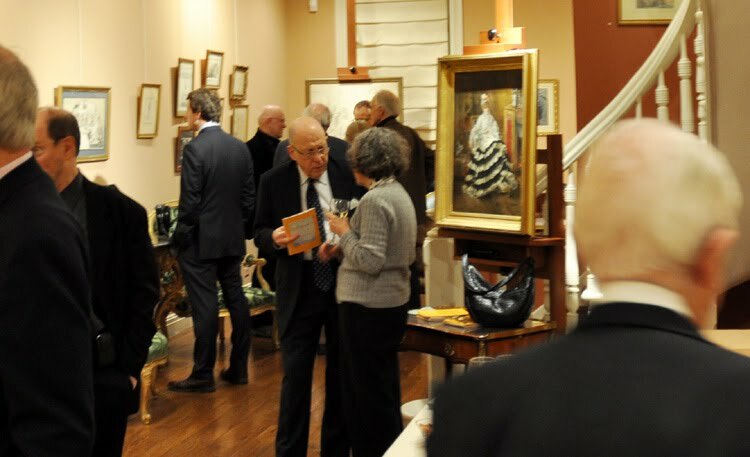 It was one of the coldest nights of the year but that does not stop the art interested. The collectors, curators, colleagues and friends came in goodly numbers. In some fairs the opening nights are selling nights, particularly in the modern and contemporary, the idea is to get in and buy early before anyone else has the chance. With old masters, while that does happen, it is a rarer occurrence. People want to look and come back and then decide. Last year was one of our best fairs ever, but I believe, all our sales occurred after the last day. Here are a few of the works of art that people seemed particularly interested in. Maybe the most popular with curators and collectors was the 16th century fan shaped drawing. It continues to mesmerize, not only by its shape and subject matter but the quality is so high that, I believe, it was done for a very special marriage. “I think that I shall never see a billboard lovely as a tree, At least until the billboards fall I shall not see a tree at all”, remember this out dated Ogden Nash couplet. Well, here we have one of those formerly hidden trees. I have been thinking of doing an exhibition of tree images but have had trouble finding others that stood up to this enchanting image by the German 19th century artist Max Seliger. I must mention one more, our pair of extraordinary pastels by Jean Valade, which I have written about previously. They are soon on their way to the Getty Museum and The Museum of Fine Arts, Houston for the exhibition ‘Paris: Life & Luxury”. There is still time. The exhibition continues through this Saturday and I want my readers to please come in and decide for themselves what they like. We have over 40 drawings on view. But if you cannot make it there is always our website where you will find the section devoted to Master Drawings New York.